Letter from Evin Prison in Iran reveals abuse by officials, inmates. ISTANBUL (Morning Star News) – An Iranian-American pastor imprisoned for planting house churches in Iran years ago writes that he is undergoing torture, death threats, and pressure to renounce his faith from prison officials and inmates. Prison conditions include “various (bullying) groups, the psychological warfare, a year of not seeing my family, physical violence, actions committed to humiliate me, insults, being mocked, being confronted with extremists in the prison who create another prison within the prison walls, and the death threats,” he wrote. The Tehran prison is infamous for its maltreatment of political dissidents and government protestors. Activists and converts to Christianity serve time alongside murderers and rapists in one of the world’s most dangerous prisons. Abedini wrote that prison officials have targeted him for abuse in pressuring him to renounce his faith. Prison officials and Muslim extremists inside his cell have used various methods to “punish” Abedini for converting to Christianity. In one case, the leader of his cell attacked him when he was singing praise songs, said Tiffany Barrans, international legal director of the American Center for Law and Justice (ACLJ). “While the prison officials try to use his conviction and sentence as leverage, other prisoners use physical assaults,” she told Morning Star News. Both parties believe that causing the pastor to recant his faith would be a religious and national victory. Muslim prisoners consider it their duty to return “lapsed” Muslims to their religion; officials consider it a matter of control. Those close to the pastor said he suffers from infections from his injuries that have not been properly treated by prison medical staff. He is in a cell with 20-25 other prisoners, some of whom have subjected him to physical and psychological torture. Abedini wrote that he responded to the cell group leader’s assault by hugging him; the assailant, he noted, was shocked. Incarcerated since his arrest in September, Abedini was sentenced on Jan. 27 to eight years in prison for threatening “national security” by planting house churches. He has traveled back and forth between the United States and Iran since becoming a U.S. citizen in 2010 after marrying his American wife. In a previous arrest a decade ago, Iranian officials demanded that Abedini take part in no more church planting. Previously he had established churches in Iran but has maintained that he has not evangelized since receiving the warning. He says the nine trips to Iran he has made since 2009 were to visit family and friends, and the purpose of his most recent trip last year – when he was arrested – was to establish an orphanage. His lawyer, Naser Sarbazi, a Muslim, appealed the verdict on Feb. 4 and is awaiting another hearing. This written submission is being reviewed by a panel of three Revolutionary Court judges, but no date has been set for the final decision. 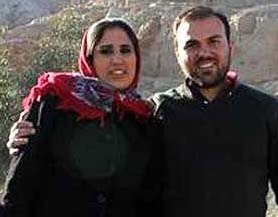 Abedini is prohibited from speaking with his wife, Nagmeh Abedini, by phone. 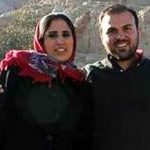 She reportedly said that Saeed’s harsh treatment has taken a tremendous physical toll on him and could take his life before his prison sentence is complete. She and their two children, a 6-year-old daughter and 4-year-old son, reside in Idaho. He was ordained as a member of the American Evangelistic Association in 2008. Since his arrest, Abedini’s family and legal representatives have worried that sentencing would bring brutal and life-threatening treatment in the prison. Their fears have been confirmed. “This new letter from Pastor Saeed could not be more clear or direct – he continues to face life-threatening abuse simply because of his religious beliefs,” Jordan Sekulow, executive director of the ACLJ, which represents Abedini’s wife and children in the United States, said in a statement. Advocacy groups have worked for months to secure his release. The ACLJ filed a document last week with the U.N. Human Rights Council to call on Iran for his release.